If you love coffee and Starbucks then on your next visit you need to have an extra £1 ready to invest in your reusable cup, not only does the cup help the environment it also saves us money Y'all. 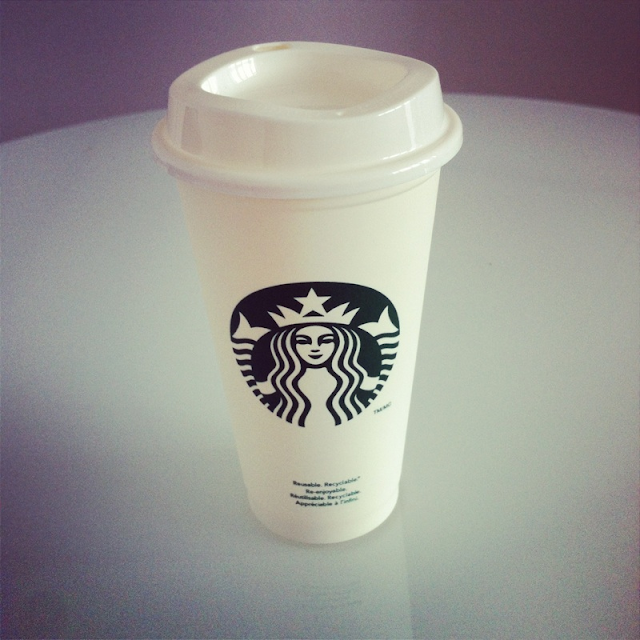 Every time you take a Starbucks trip and request your favourite coffee in your reusable cup you get 25p off your order, how amazing is that! Just think if you have a coffee everyday like myself, I'm going to now save 25p every day, which equals a saving of £1.75 per week, £7 a month and the best part a massive (wait for it, my Maths is terrible) £84 a year, which is more than enough to get a Christmas outfit at the end of the year! I don't know about you but my cup is washed and ready to go for tomorrow mornings white Americano! MY DAY WITH SINCLAIR LONDON. CARNABY 20% SUMMER SHOPPING PARTY.